Please take a look at my relic issue, I camt upgrade one of the armament, please help me fix this problem, thanks. 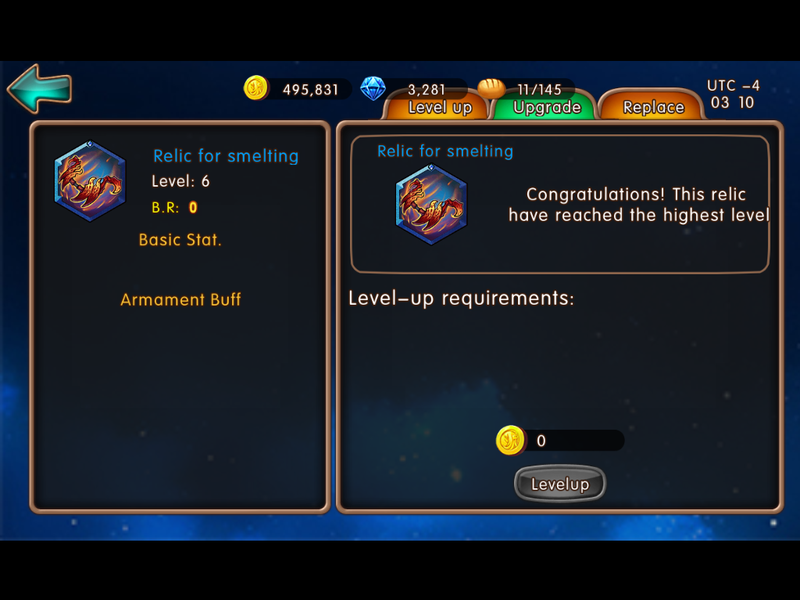 Here is a screenshot, I have enough crystal, but it doesn\'t allow me to upgrade this armament, please help. Does it have somekinda level restriction? Level 5, but that armament is already at level 6. 2019-4-22 10:45 GMT+8 , Processed in 0.069689 second(s), 40 queries .